All of MacDonald's stuff is brilliant,but this one is brilliant even for MacDonald. It's personal to Archer, a taut and compelling thriller and richly insightful as to the human condition. Good entry, not one of the best. 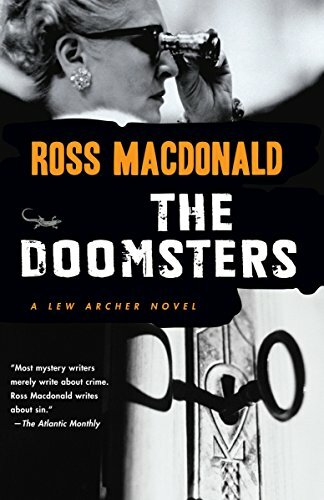 Between Hammett and Chandler, MacDonald is my choice. Archer's broody, moral, reflective and self-critical stance is a refreshing addition to the genre. A little bit of Faulkner on the mean streets. Not a great book, but a welcome reminder of reading MacDonald from the Cedar Rapids Public Library long, long ago. Good twist to the plot near the end but for some reason, I found Lew Archer less likeable in this one.